I’m a day late, but with good cause. 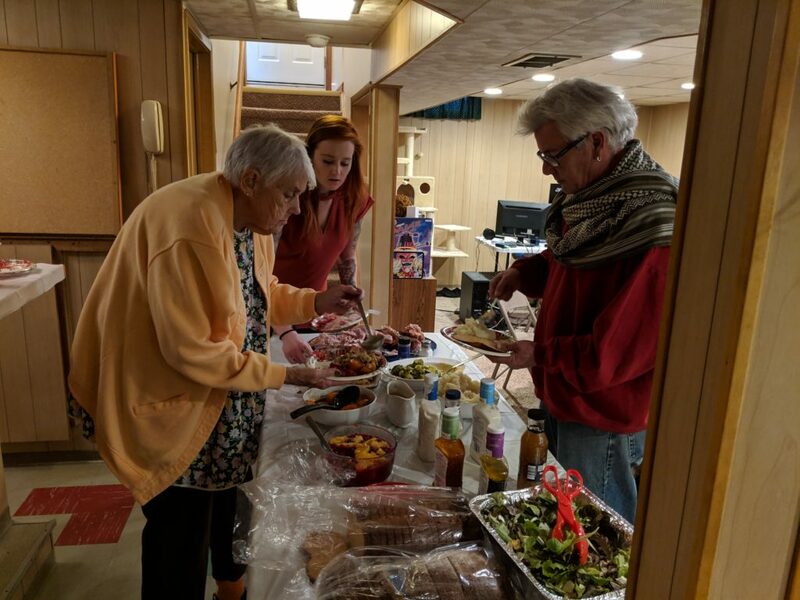 Traditionally, we’ve alternated between my family and Anne’s for Thanksgiving dinner each year, but with my mother-in-law having been in Colorado for many of them, that’s not been the case for the past few years. However, with her having moved back home, this would’ve been her year so we made plans for that. As it turns out, she asked to hold it at our place as we have more room at the moment and we were happy to oblige. This also made it possible for both families to attend for the first time. 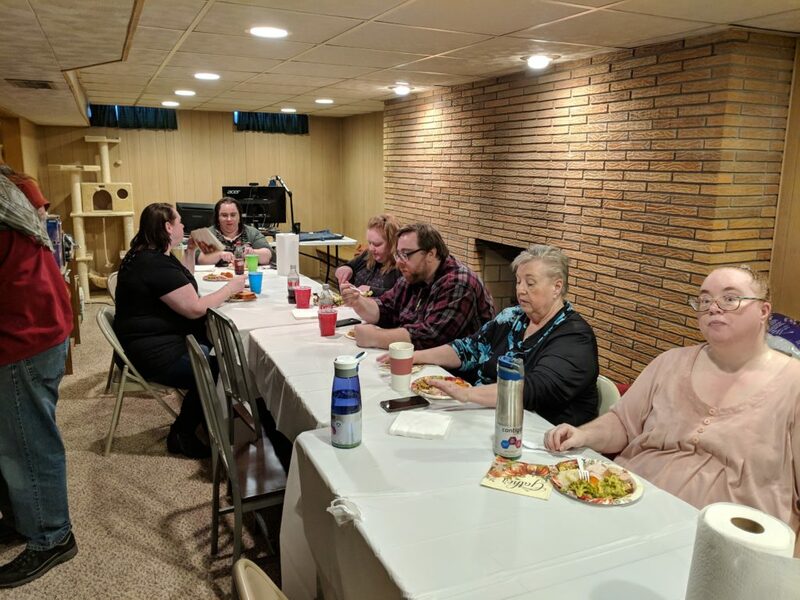 We played host to my MIL, Kathy, SIL, Angela and her husband Rob, BIL, Aral and his wife Lynn, SIL Alica, my mother, Mary, brother, Wes, and niece Jasmine. Our wonderful dinner was a group production between Anne, Kathy and Mary with contributions from several attendees and it turned out great. As an atheist, I am often asked around this time of year just who I am thankful to. The answer is obvious and simple. I’m thankful to all the people you see in those photos above. Each and every one of them, along with many friends and family that could not be here yesterday, have had a positive impact on me as a person and for that I am very thankful to them. Here’s hoping you had as wonderful a Thanksgiving as I did with the people you are thankful for being a part of your lives. This entry was posted in Holidays and tagged Holidays, Thanksgiving by Les. Bookmark the permalink. It was a delight for two reasons . First all the people who attended from both families and I got to help Kathy and Anne make the dinner.